So I headed down to Brisbane and we started about 10 am in the morning, there were four groups in the class and each group had two people in it. All of the groups minus myself where families. We broke for lunch and afternoon tea, most groups got about 90% finished, I think I got to around 70%. There is a lot to be said to how much faster it is when you have two people helping especially as a lot of the pieces needed to be prepared beforehand, and also the power/CPU box could build separate to the main printer bed which could speed things up immensely. Due to not being completed in time and also the fact that I had flown down for the workshop and underestimated just how big and fragile the printer was going to be once built so flying it down to Sydney on the plane was not looking to be the best option. Due to this I booked a date in a few weeks to head back up to Brisbane with the car and complete the printer and then also be able to drive it back to the workshop. With one more workshop I was able to complete the 3D Printer and be in a much more confident place to be able to troubleshoot the printer and be able to fix it back in my workshop without the help of Chris. I would say all in all it was a fantastic decision to build my own 3D Printer, though even as an experienced hardware tinkerer I apricated the workshop and being able to lean on Chris and others to build the machine. A large reason aswell is because it is still a new technology so I needed to upskill in the area and also the level of calibration that is needed on the devices and understanding of how to prepare files face to face learning was definitely for me a great choice. Without the workshop I would not have felt comfortable to go straight for the solder to fix a problem when I hit an issue with the printer head arm that could have caused a large problem. 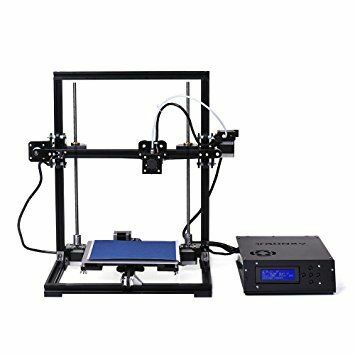 It has also enabled me to be able to understand how to tweak and calibrate the printer and also what settings to use when preparing printer files. All in all, I would recommend for someone who is technically inclined to look into doing a workshop, or at the least an online tutorial that covers both the file preparation, device calibration and also “gotchas” of the engines/stoppers/printer head. For a 3D printer, I have been really happy with the TronXY the quality and stability of it is higher than ones I have seen sold in shops that have a smaller print bed and seem to be near impossible to fix when stopper wires break etc. I was happy with the price I paid for the printer as for me the price I paid was the printer parts kit as well as the workshop with Chris.